SleepRestfully is a leading supplier of top quality respiratory aids coming from renowned providers such as SeQual Eclipse or Philips Respironics EverGo. Even though the highest quality medical devices in this range are not cheap, SleepRestfully ensures to offer its clients the most competitive prices on the market. Getting patients on the move, EverGo is a POC-Portable Oxygen Concentrator developed by Philips Respironics. It has been designed for active users, who travel frequently and want to leave the frustration of running out of oxygen behind. It is extremely important to mention that the EverGo has been cleared for use by the FAA- which means that patients can take their EverGo on board, thus getting their needed oxygen therapy while traveling. 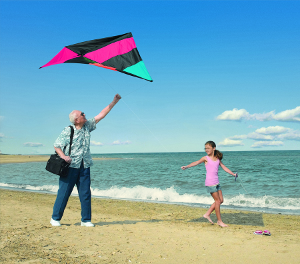 The EverGo respiratory machine offers even the most active patients the freedom of movement they have been looking for. The machine can be used easily at home, in institutions or any mobile environment. The EverGo Portable Oxygen Concentrator is cleared for use by all major airlines, so patients can now enjoy their flight while getting the necessary oxygen therapy. At SleepRestfully patients can have access to the widest range of portable oxygen concentrators at budget friendly prices. The EverGo by Respironics is one such featured oxygen concentrator which has become extremely popular among users. Patients in need of oxygen therapy can to forget about how it feels to be housebound, and finally get on the move with a compact and ultra-efficient oxygen therapy machine. frequently in shorter or longer trips. The most fantastic feature of the EverGo is that it allows continuous use for up to 8 hours, thanks to the 2 ultra powerful Lithium Ion batteries it is equipped with. The EverGo features an extremely user friendly interface, so that even first time users will find it comfortable and easy to use the device. The device is actually separating the oxygen from the ambient, passes it through efficient and powerful filters and delivers the purest, therapeutic oxygen to the user. 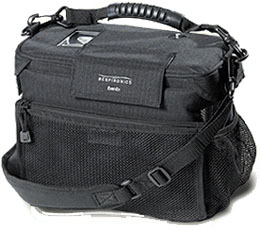 The EverGo weighs less than 10 pounds (~ 4 kg), making it comfortable to carry around. The package also contains 2 powerful Lithium Ion batteries which ensure continuous use of the device for up to 8 hours. Cost Efficiency: Using conventional oxygen tanks is neither comfortable, nor cheap. Many patients put up with feelings of frustration because they have to use bulky concentrators to get enough oxygen. The EverGo represents the next best alternative even for home use, eliminating the need to use bulky devices or oxygen tanks. Also, patients can save money in the long term by switching to more compact, modern and highly efficient portable oxygen concentrators such as the EverGo. People who enjoy travelling, will find the EverGo portable oxygen concentrator extremely useful. The patients can now have freedom of mobility, whether traveling by car, by plane, getting their necessary oxygen therapy while on a camp trip, or enjoying their golf tournament. EverGo is extremely low maintenance. The filter can be quickly detached and cleaned when needed. Attention: Always consult your physician regarding which type of oxygen concentrator is suitable in your case. Attention: Always inform the airline with regards to your intent of using the EverGo portable oxygen concentrator on board. Different airlines have different policies regarding traveling with such an oxygen therapy device. A wheeled cart that is extremely light and comes in a foldable design + locking handle a special case for the accessories. Patients can charge and use their EverGo machine at the same time. 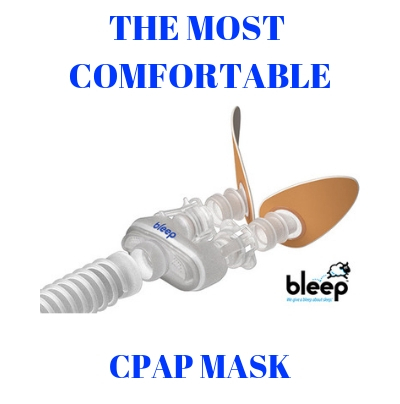 SleepRestfully is your most trustworthy partner when it comes to purchasing any CPAP, AVAP or BiPAP device. The friendly and highly experienced professionals at customer service can assist you with any question you might have.